distribution Statewide. Occurs in all 100 counties. abundance Common statewide, with abundance levels somewhat equal across all three provinces. One of the more common dragonfly species in the mountains, with well over 200 records with flight data from that region of the state. flight Generally from mid-March to mid-November, and straggling at least in the Coastal Plain to the end of the year. It has the longest flight period of any dragonfly in the state, as it is the dragonfly species most likely to be seen in early winter -- being absent only for about two months in mid- and late winter. habitat Wide-ranging; found around lakes, ponds, marshes, and other mostly still waters. Forages over fields, ponds, lakes, and other open habitats, as well as along roads through woods. behavior Typically seen flying at eye-level or higher, over a wide range of open habitats. comments The species is seldom seen in truly large numbers or swarms. 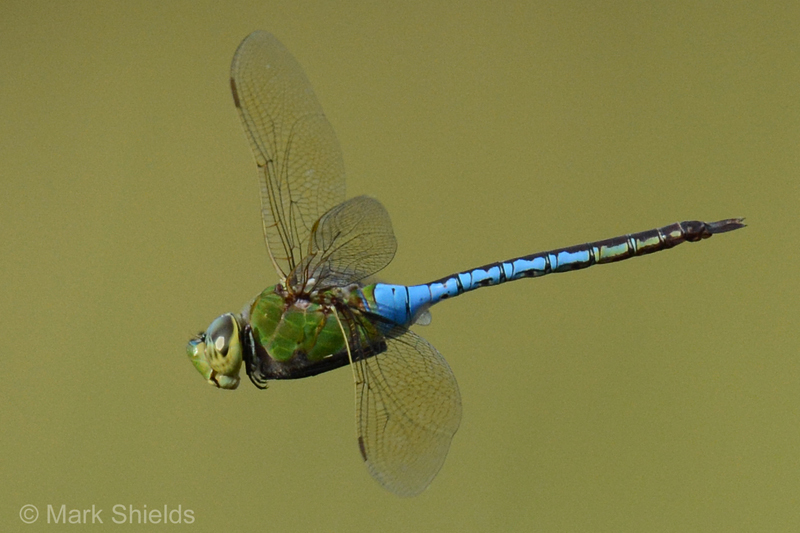 It can often be the first species of dragonfly one sees in spring, or the last in late fall. The species is usually easily identified in flight, even at a distance of 100 feet or more, through binoculars. Comment: Onslow, 2015-06-28, Small, wooded pond in Holly Ridge - Two mating and ovipositing pairs observed, along with one unmated male. Comment: Harnett; P, 2007-09-16, Pair flies in tandem while the female lays eggs.